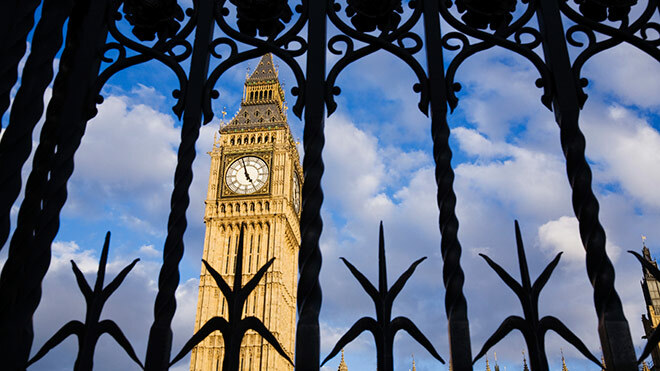 Online voting: Safe as Houses of Parliament? All the way back in January of 2015, the Speaker’s Commission on Digital Democracy reported their findings. Top of the list was that the 2020 general election should provide a mechanism for people to vote online. Campaign group Webroots Democracy have been following the progress of the Commission’s recommendations, and their new report out today (Secure Voting) deals with the detail of security concerns raised around the introduction of online voting for the next general election. They’ve asked balloting suppliers, network providers and academics to answer a series of questions on how online voting might handle potential problems such as coercion, fraud and attacks on the system. We’re particularly interested in the report though as it highlights other advantages of online balloting, not over general election ballot boxes, but over postal voting. Unions have a long relationship with postal voting. In the 1992 TULRCA legislation, we had restrictions imposed on strike ballots and other important union elections. These meant unions were only able to use independently managed postal ballots to take big decisions. We didn’t like it at the time as it stopped us using supervised workplace balloting, which works very well. But as time has gone by, it’s gotten even worse. People are more likely to want to engage with membership organisations online now, and the posted ballot runs a greater risk of getting lost, being chucked out with the junk, or waiting on the shelf for a trip to the post office that is never gotten around to. The Trade Union Bill currently going through Parliament has a chance to address this. It’s seeking to impose thresholds on union votes (ones we see as rather arbitrary and illogical), but without enabling unions to use better means to meet those thresholds. The Bill is revising TULRCA, and we’d like to see it also include provision for unions to use online balloting as well as postal ballots, to bring it up to date since 1992 (we’d like workplace balloting too please if ministers are reading). We know it’d be popular. Now unless this is some other secret Speaker’s Commission that Mr Cameron refers to, then it’s hard to reconcile their grounded optimism on the subject with the Prime Minister’s pessimistic account. Either way though, this new report should help put his mind at rest. It contains solutions to problems from ‘man in the middle attacks’ to malware on voters’ devices, which could compromise the integrity of votes case, and suggests ways to deal with attempts to hamper the ballot, such as denial of service attacks. There are also interesting ideas around replacement voting (already present in some systems), where you are able to recast a vote, with only the latest one counting. This could allay concerns in union ballots that employers or unions could pressurise a member to vote a certain way in their presence (something of course that is also a possibility with postal ballots, as some of the report’s contributors point out). Of course, second hand evidence is always less reassuring than personal experience. So if this isn’t enough to convince ministers leading the Trade Union Bill – they could always ask their Conservative colleague Zac Goldsmith MP, the party’s new candidate for London Mayor. Zac won his new role in an online ballot, and I’m sure he would consider his nomination to be secure enough to be relied upon.